Plenty of options to choose from on day one of the RC Career Week, hosted by the Career and Employment Center. 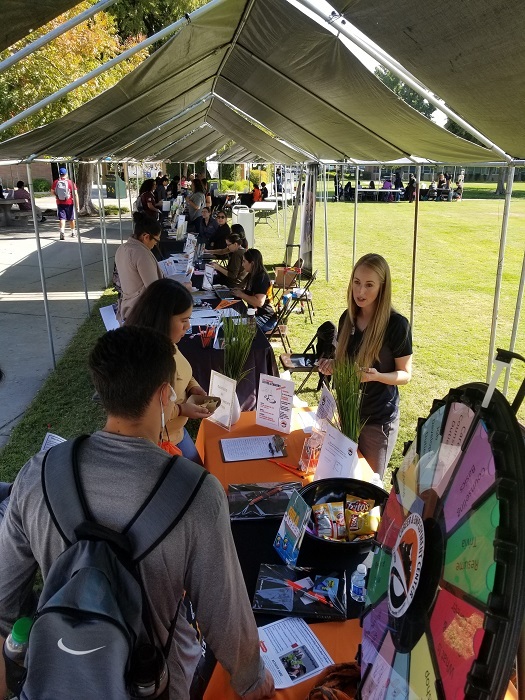 The majors fair and campus connections event was a huge success, with students speaking to instructors, counselors and others about transfer options, clubs and different departments. The three-day event continues Wednesday, October 24th with a resume writing workshop in the CEC from 9am-noon, followed by job interviews Thursday, October 25th, also in the CEC (pre-registration required).